Spent most of today (and a little of yesterday) at this years concours here in Kuwait. I guess this is one event we're lucky to have, exclusive for the entire region. The quality of cars being shown here is just incredible. You can bet i'll be posting a lot more pics from the event. 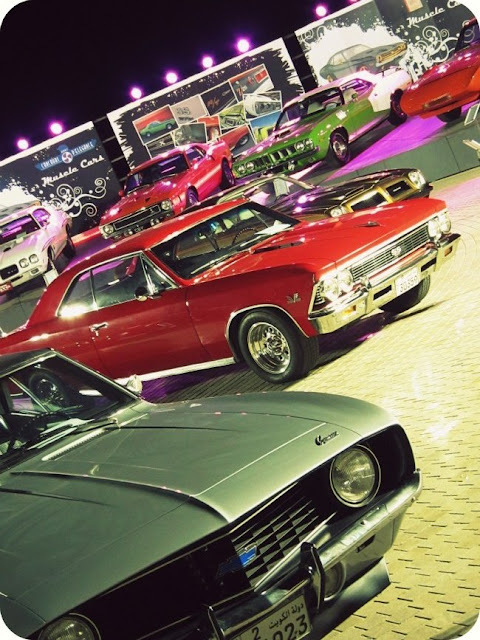 Seen here is a glimpse of the classic muscle cars area. These cars look good enough to eat!